In his weekly column the former foreign secretary has warned that the proposals to deal with the Northern Ireland land border with Ireland will end “in a political car crash” and leave Britain as a “vassal state” to the EU. Mr Johnson said that last December he and others had signed up to the agreement because they had been given private assurances that it would never be invoked. The backstop would see Britain’s regulations tied to those of the EU and could see Northern Ireland kept under EU rule in the single market. Although she is signed up to the principle of a backstop if no better arrangement can be agreed, Mrs May has robustly rejected the version put forward by Brussels, which would see Northern Ireland remain within the EU customs area and effectively draw a customs border down the Irish Sea. And it has been reported that the EU is preparing to accept use of technology to avoid the need for new border infrastructure. Mr Johnson said: “If the Brexit negotiations continue on this path they will end, I am afraid, in a spectacular political car crash. He added that the EU’s backstop would leave a border down the Irish sea while the UK’s proposal left it “volunteering” to “remain effectively in the customs union and large parts of the single market until Brussels says otherwise. He wrote: “Both versions of the backstop are disastrous. “One threatens the union; the other version, and its close cousin, Chequers, keep us effectively in the EU, as humiliated rules takers. But Number 10 hit back pointing out that Mr Johnson had himself signed up to the joint report agreed by Mrs May and Mr Juncker, including the backstop provision, and had remained in government for a further seven months afterwards. 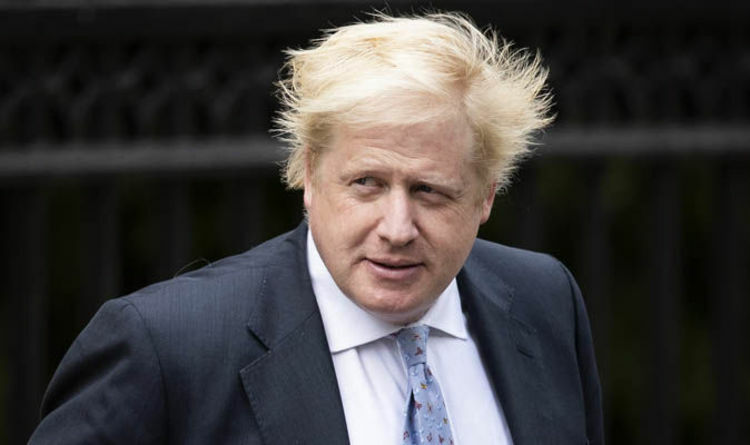 The Prime Minister’s official spokesman said: “Boris Johnson was a member of the cabinet which agreed to the December joint report, including the backstop. “At the time, he congratulated the Prime Minister for her determination in securing the deal.